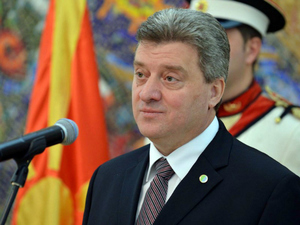 Macedonian President Gjorge Ivanov gave a short televised address to the nation on Thursday evening calling for calm amid high tensions following unrest in parliament. "I call upon the leaders of the parliamentary parties to come to my office tomorrow for a leaders’ meeting so that we can overcome this condition," Ivanov said. He called on all sides to refrain from violence, saying that the parliamentary rulebook and the legislative order had been breached today with the election of a new parliament speaker by the new majority. Following the situation in Macedonia, the Albanian Foreign Ministry said clashes and scenes of violence against the representatives elected by the citizens of Macedonia are unacceptable and not worthy of a parliamentary democracy. Violence does not help at all in solving the created situation, the statement reads. "We call upon all political actors to show self-restraint, not use rhetoric that exacerbates the tense situation and engage maximally, calmly, avoiding overreaction, in a meaningful dialogue," it said. Macedonian police told media that they have successfully evacuated a group of some 30 MPs from parliament. The MPs had been stuck in the building when violent protesters stormed the building, angry over the election of a parliament speaker by the new parliamentary majority. We condemn in the strongest terms the attack on the Parliament in Skopje! The situation inside and around the Macedonian parliament is currently calm after the police used concussion grenades to drive protesters outside the building and evacuate the MPs trapped inside. Several hundred protesters however remain in front of the parliament. Telma TV reported that they said that they will remain there throughout the night. Violence in #Macedonia is a reminder of what happens when EU indulges a little autocrat in hope he'll bring stability. 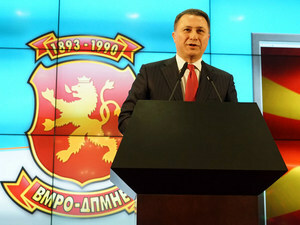 At three past midnight the leader of Macedonia's former ruling VMRO DPMNE party, Nikola Gruevski in a televised public address, blamed the Social Democrats, SDSM, and the parties who supported the new parliament majority for causing the violence that happened yesterday evening in the parliament building. "I want to condemn the violence done by individuals who attacked and injured a number of MPs. I never justified violence" Gruevski said. "I condemn the way in which SDS [SDSM] and the other parties who support them, have decided to attempt to unlawfully elect parliament speaker, outright breaking all democratic and lawful procedures, with which they fully and consciously contributed towards heightening of tensions and polarization in our society". The SDSM "consciously decided to break the law, the Constitution and the parliament rule-book, thus most directly causing the events [in the parliament], and they carry responsibility for that", Gruevski said. An interior ministry statement aid 102 people had been treated at city hospitals, including MPs and police officers, after a violence erupted in Macedonia's parliament when nationalist protesters stormed the building in anger over a vote for a new speaker. The European Centre for Press and Media Freedom, ECPMF, based in Leipzig, Germany, condemned Thursday's attacks against Macedonian journalists that happened during the violent storming of the parliament building in Skopje by protesters. "We hereby express our deep concern about the yesterday's violent attacks against journalists in the parliament of the Republic of Macedonia,” the ECPMF said on Friday. The ECPMF, who are on a fact-finding mission to Macedonia, also said they were worried by the overall rising trend of violence against journalists in the country. 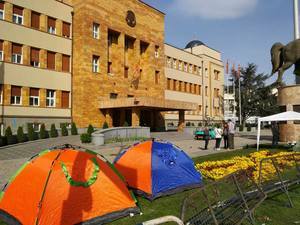 It was calm this morning in front of the Macedonian parliament where only some ten people used tents to spend the night there after Thursday’s evening of violence. Generally hostile to reporters from BIRN and Telma TV, the people inside the tents said that they are expecting much more people to join them after working hours ended on Friday afternoon. The head of an alliance of Macedonian lawmakers Zoran Zaev has refused to meet with President Gjorge Ivanov, a day after scores of protesters stormed the Balkan country's parliament and assaulted him and several other deputies, Radio Free Europe reports on Friday. European Union foreign-policy chief Federica Mogherini condemned the spiraling violence, which has deepened a two-year political stalemate, calling it "particularly worrying and very sad." "We consider violence always unacceptable, even more so when it happens in the house of democracy, in parliament," Mogherini told reporters in Malta on April 28 ahead of an EU meeting. In an open letter to VMRO DPMNE party leader Nikola Gruevski, the former EU mediator in the Macedonian crisis, Peter Vanhoutte accused him of inciting the violence on Thursday night and of refusing to accept defeat and a democratic transition of power. 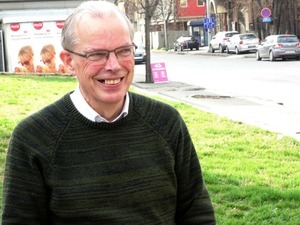 "We saw democracy crumbling yesterday in the hands of your party members and a group of mobsters,” Vanhoutte wrote. "And as far as you are concerned, Mr. Gruevski, yes, it is time to accept defeat and to leave the political scene, pending a thorough investigation into your actions and those of your allies. There is no way back", Vanhoutte added. The leader of Bulgaria’s main party and likely next prime minister, Boyko Borissov on Friday urged leaders of Macedonia’s parties to put aside their emotions and find a solution to the ongoing political crisis which escalated in violence in parliament on Thursday. Borissov said he had spoken to Macedonia’s President George Ivanovski on Ivanovski’s own request late on Thursday, as well as with party leaders Nikola Gruevski and opposition leader Zoran Zaev, who was injured during the clashes. The Bulgarian parliament strongly condemned the attacks on Macedonian lawmakers inside the legislature in Skopje on Thursday by supporters of the VMRO-DPMNE party. “The aggression against our colleagues is an intolerable violation of the parliamentary institution and of democracy,” the Bulgarian MPs said in a declaration adopted on Friday, which calls on Macedonia not to allow provocations that could lead to ethnic violence. 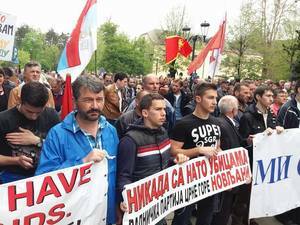 Several hundred people gathered in a NATO rally in Cetinje on Friday after the Montenegro's pro-Russia opposition Democratic Front has vowed to freeze membership of the alliance if it wins the next parliamentary election. The Front said parliament’s approval of the accession treaty would be illegal, as a large majority of Montenegrin citizens strongly oppose NATO membership. The NATO membership vote on Friday will mark one of the final steps in the Montenegro’s long drawn-out accession process. The vote is likely to pass, as it only requires a simple majority of the 81 MPs, and the ruling coalition holds 42 seats. Most opposition parties will boycott the vote in Cetinje, citing their frustrated demand for a referendum on the issue. 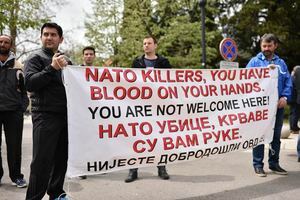 Chaunting "killers, killers", protesters in Cetinje demanding a referendum on NATO membership. “With the blood still fresh on the floor of the assembly and more protests expected in the coming days, it is vital to send a strong signal that such politically motivated violence has no place in Macedonia" said Amnesty International’s Balkans Researcher, Sian Jones in response to yesterday’s violent attacks on Members of Parliament in Skopje. “The vicious attacks on Members of Parliament must be urgently and impartially investigated and those responsible for the violence must be held to account. The police must use proportionate means to prevent any further violence and ensure parliamentarians, journalists and demonstrators are properly protected”, Jones said. The Belgrade Appeals on Friday overturned a verdict that found NIN weekly news magazine guilty of defaming Interior Minister Nebojsa Stefanovic by accusing him of being responsible for the nocturnal demolitions in the city’s Savamala district last year and calling him “Savamala’s main phantom”. The Higher Court in Belgrade initially ruled in the first-instance verdict on January 4 that NIN, its editor and the author of the article must pay Stefanovic around 2,500 euros “for the violation of [his] honour and reputation”. Moscow deeply regrets Montenegro’s decision to join NATO. Montenegro’s authorities have not heeded the voice of reason, the Russian Foreign Ministry said on Friday. "Following the parliament’s decision of April 28 on Montenegro’s joining NATO, we have to state with deep regret that the current leaders of that country and their Western patrons have failed to heed the voice of reason and conscience," the ministry said, Russian Tass agency reported. "Adoption of fundamental acts concerning basic issues of the state’s security through voting of separate lawmakers on the basis of a formal majority without asking the nation’s opinion is a demonstrative act of violating all democratic norms and principles," the ministry stressed. Moscow reserves the right to take measures aimed at protecting its interests and national security after Montenegro’s joining NATO, according to the Russian Foreign Ministry. "Taking into account Montenegro’s potential, the North Atlantic Alliance is unlikely to have a considerable ‘added value,’" the ministry said. "But Moscow cannot but take into account strategic consequences of this step. That is why we reserve the right to take such decisions which are aimed at the protection of our interests and national security." The junior partner in Croatia’s government on Friday said its four ministers would no longer be part of the center-right governing coalition following an argument about the future of the country’s finance minister, AP reported. “By this we show that our primary goal is not keeping posts, but to prevent a constitutional crisis,” said Božo Petrov, the leader of the centrist MOST party, according to Reuters. MOST has refused to back Finance Minister Zoran Maric, a former executive at Croatia’s biggest private firm, Agrokor. Opposition parties demanded his resignation over his involvement in a financial scandal at the firm. The head of the biggest ethnic Albanian party in Macedonia, the Democratic Union for Integration, Ali Ahmeti, declined the proposed leader's meeting hosted by Macedonian President Gjorge Ivanov. "Ivanov is part of the problem, not of the solution" Ahmeti told media on Friday. 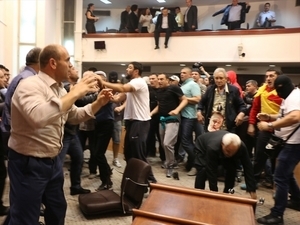 Ivanov called the political party leaders for a meeting aimed at overcoming the stalemate, shortly after violent supporters of the right wing VMRO DPMNE party stormed the parliament on Thursday evening. His proposal was also declined by Social Democrat's leader Zoran Zaev. Watch unedited video footage of Thursday's rampage in Macedonia's parliament which left more than 100 people injured, including 10 MPs. Mitko Cavkov, the head of Macedonia's Public Safety Bureau, which controls the uniformed police, at a press conference on Friday denied accusations that he was responsible for allowing Thursday's rampage in the parliament by slowing police's response. "There were police attempts to prevent the entry of the crowd [inside the parliament], but the use of force might have caused victims. The police started using force when intervention became necessary and when the safety of the people inside was in jeopardy" Cavkov said. 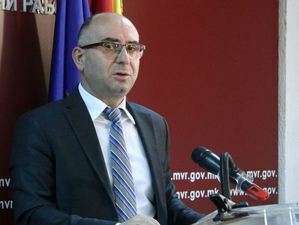 Cavkov's superior, Interior Minister Agim Nuhiu previously said that despite being head of the operational HQ in charge of dealing with potential violence, Cavkov was not in the HQ for two hours after the violence started, nor did he respond to the minister's telephone calls. After Thursday's violence in the Macedonian parliament, the supporters of the right wing VMRO DPMNE party who oppose the formation of a Social Democrats-led government today held a short and peaceful protest in Skopje. Today's protest was held in front of the EU office and aimed at showing revolt against the international community who acknowledged yesterday's election of Talat Xhaferi as new parliament speaker.